This year we set out to thrift 12 essential items for our closet by following the 12 Months of Thrifting challenge. We took it slow by thrifting a specific item each month so we can carefully build a thrifted wardrobe of functional clothing that we love and will actually wear. December marks the final prompt of the challenge so as the temperatures begin to drop here in Ohio, we’re on the hunt for a cardigan. 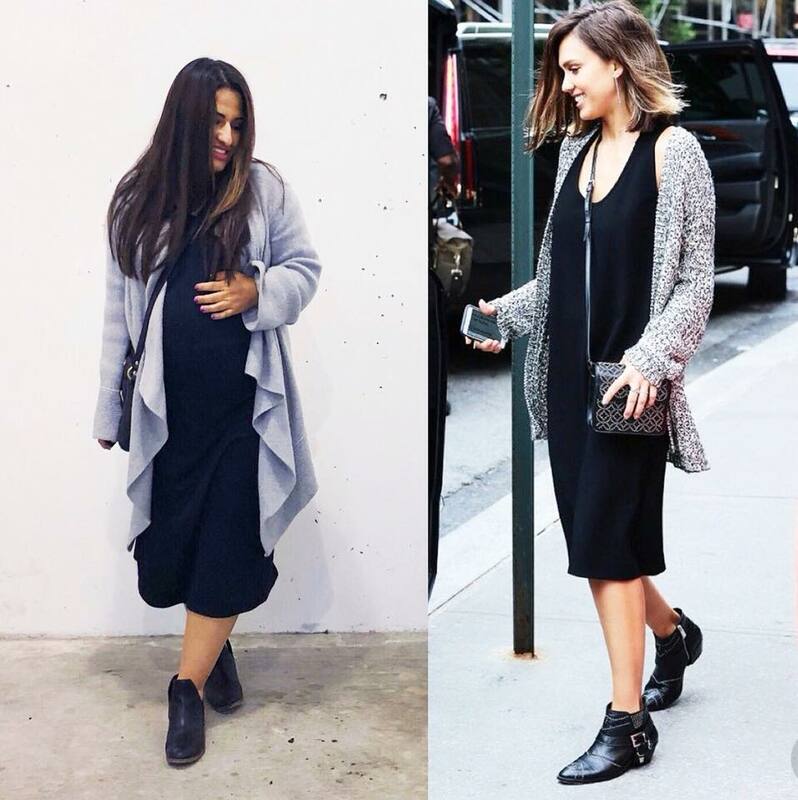 But not just any kind of cardigan, we’re looking for a cozy over-sized style for extra warmth and style. There are a several styles of cardigans, including cropped and fitted ones but an over-sized cardigan offers extra layers of warmth for the colder months and the extra room gives you some flexibility to layer with other warm pieces. All that’s missing are some cozy socks and hot chocolate! I found the coziest White House Black Market cardigan for $4 at Goodwill over the summer and pulled it out this month when the temperatures took a plunge. I usually layer this with a scarf and a long sleeve tee and leggings on the weekends but was thriftspired by Jessica Alba’s easy style and threw it on over a dress. I also love to wear this cardigan to work with ankle slacks and boots. Plus, the neutral color allows for endless styling possibilities. Bonus tip: you can thrift off season if you spot something from the challenge list early! I found this sweater in July! We hope you’ve found this challenge to be helpful. It’s never too late to start! You can browse through 2016 and 2017 challenges to inspire your mindful shopping lists. Happy 12 Months of Thrifting!